You are currently browsing the daily archive for March 4, 2018. 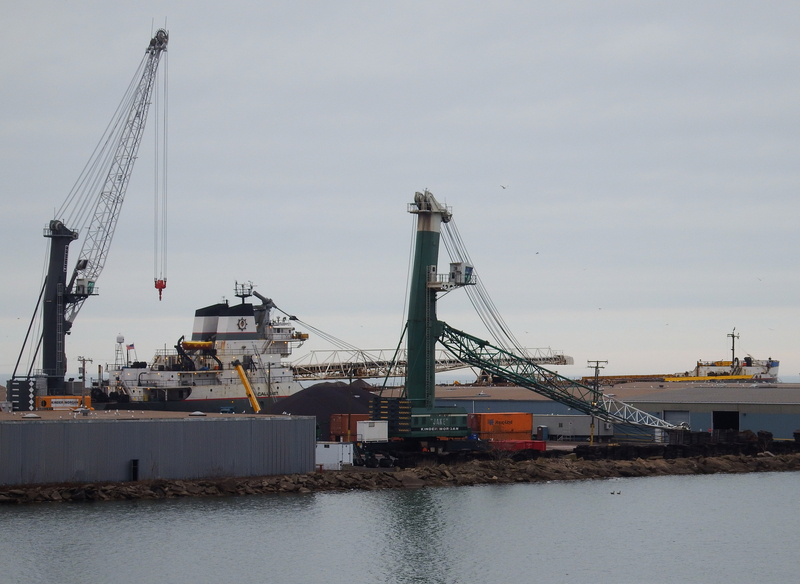 “one of the toughest ports in the world, sharing that distinction with Shanghai and Calcutta . . .” I believe that’s “tough” as quantified in black eyes, missing teeth, and blood spat out onto the gravel. I wonder who had the breadth of experience to render this judgement. Why would such ports as Rio, Murmansk, and Oswego not be included . . . or others? Besides that, those few sentences render a great description of mechanization. Mississagi is wintering over here in Ashtabula. She’s appeared on this blog a half dozen times . . . working. I’m coming home is Norfolk Southern’s mantra. I believe this archway is a coal conveyor belt. 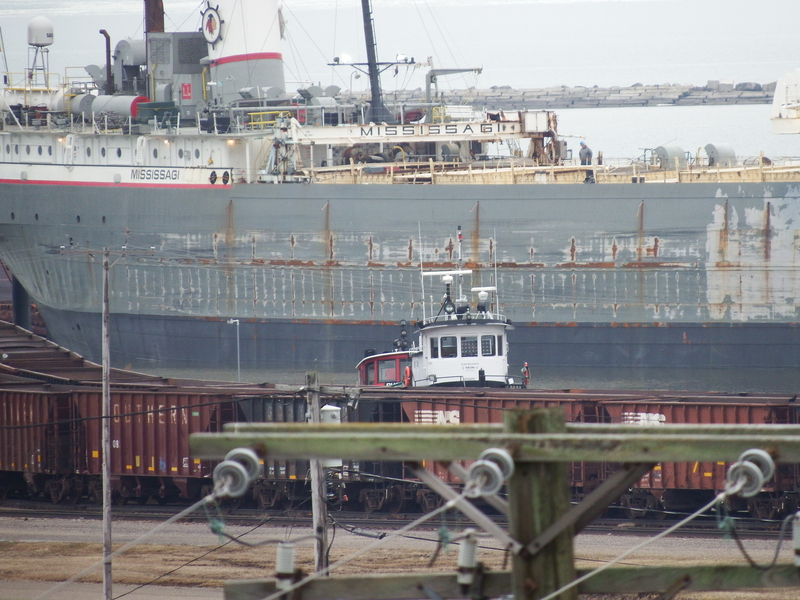 That’s all you get of GL tug Rhode Island. Mississagi (1943) is only a year younger than Alpena. But Rhode Island dates from 1930. 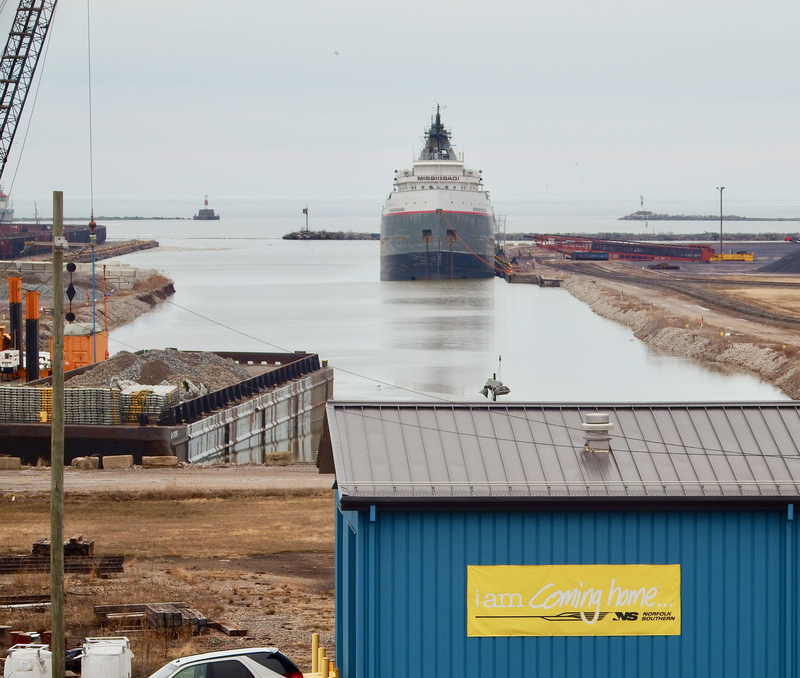 The white tug in front of it is Nancy Anne. based in Cheboygan, MI. 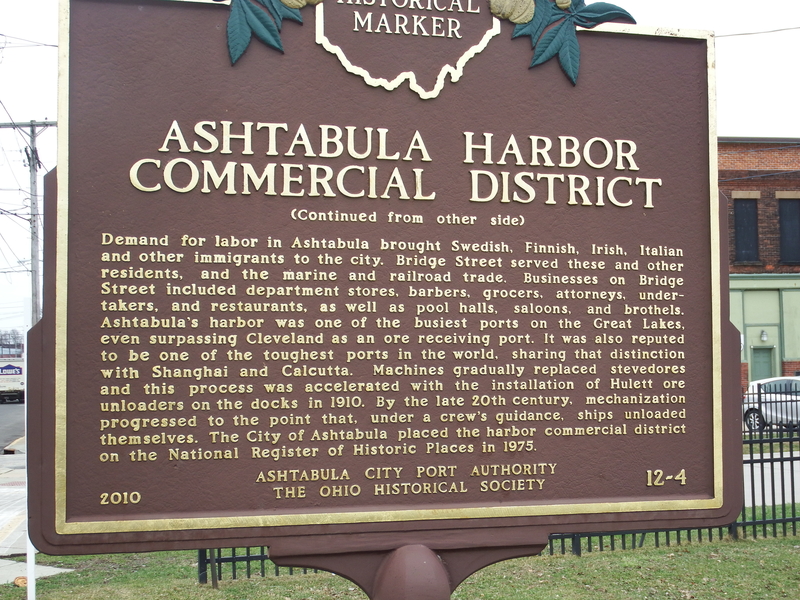 A bit farther east in Ashtabula, Calumet winters over. Previous posts including Calumet can be found here. 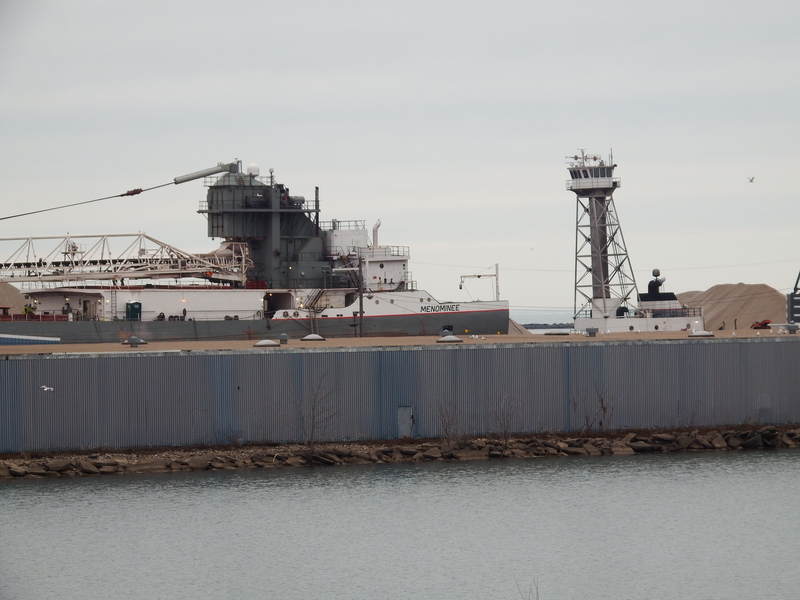 and off its stern, it’s the upper portion of tug Olive L. Moore (hull launched in 1928) and barge Menominee. I caught them on Lake Huron in August 2017. If you wanted to start reading that historical marker from side one, here it is, then if you want, you can go back to the beginning and read that in proper context. 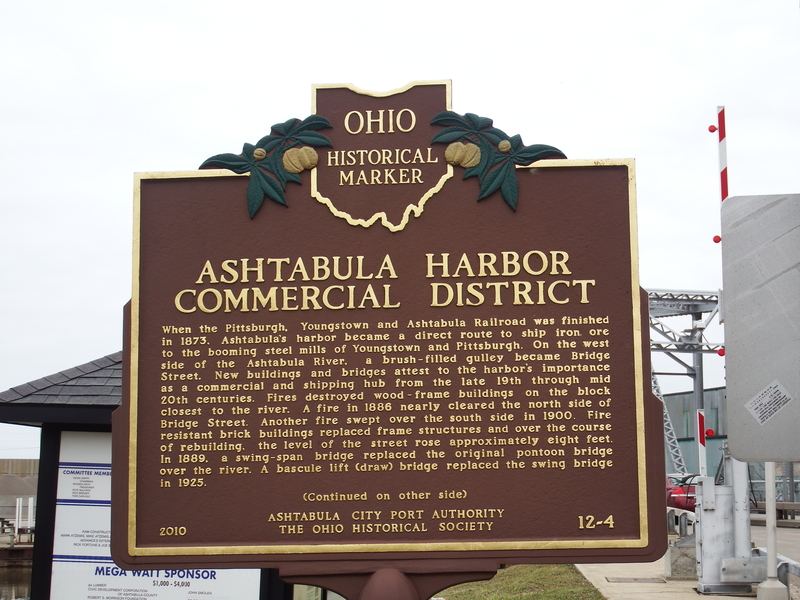 If you want the short history of Ashtabula, click here for a review of a good book. 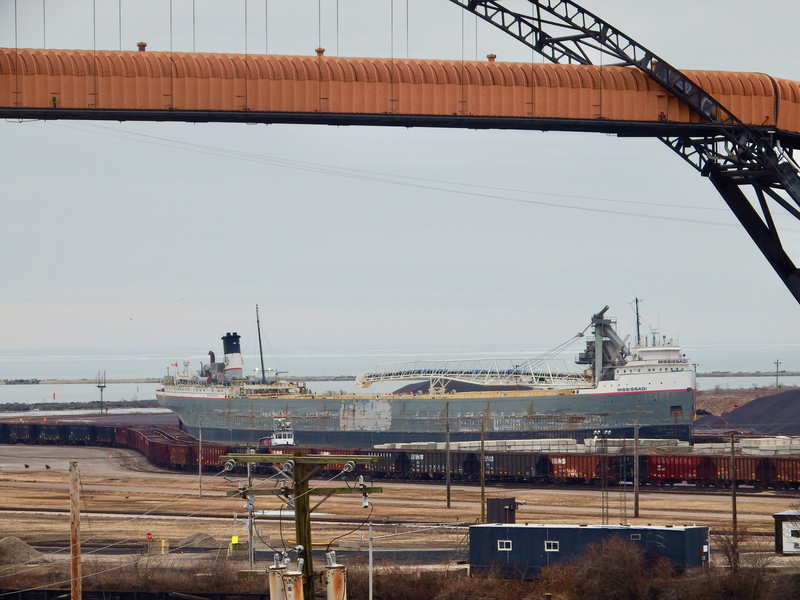 If you want the juicy details or at least the gritty ones, buy Carl E. Feather’s Ashtabula Harbor: A History of the world’s Greatest Iron Ore Receiving Port. My copy is on order.